Some major keys were shared. Puff Daddy appeared as a guest on DJ Khaled's We The Best Radio this evening. Puff discussed everything from meeting Biggie to his forthcoming album No Way Out 2. 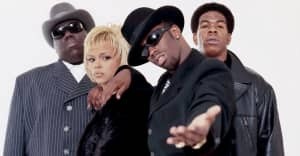 Puff also shared some details about a Bad Boy Reunion Tour that he said would most likely kick off around B.I.G. 's birthday on May 21st.